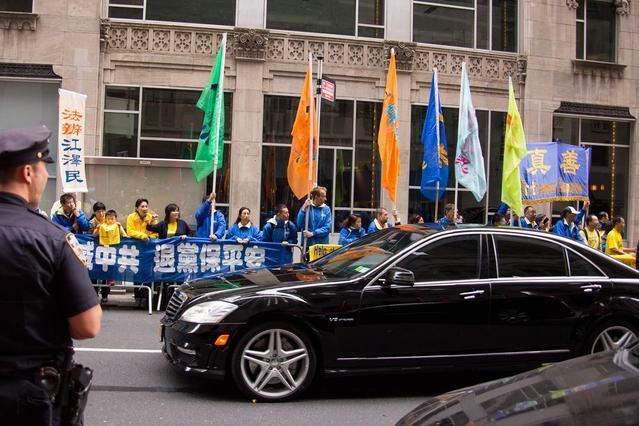 On Sunday, the banners were highly visible to passing traffic with fewer pedestrians on the streets than on weekdays. Practitioners held their protest banners aloft from 6:30 a.m. to 5 p.m. with many of their colleagues distributing flyers and other materials to passersby. During that time, Xi's motorcade travelled to and from the hotel many times because of the United Nations' World Conference on Women and other activities. Over 180,000 criminal complaints have been filed in China against Jiang since May. Among them nearly 300 are from Falun Gong practitioners in New York. Li Qiong, who submitted a complaint to China's Supreme Court and Supreme Procuratorate was sent to labour camp four times because she refused to give up her belief in Falun Gong. “I was force fed with highly salted water, hung up high for several days, and forced to sit on a small stool for months without moving or sleeping,” she said. Many people accepted materials from practitioners and some asked to learn more. 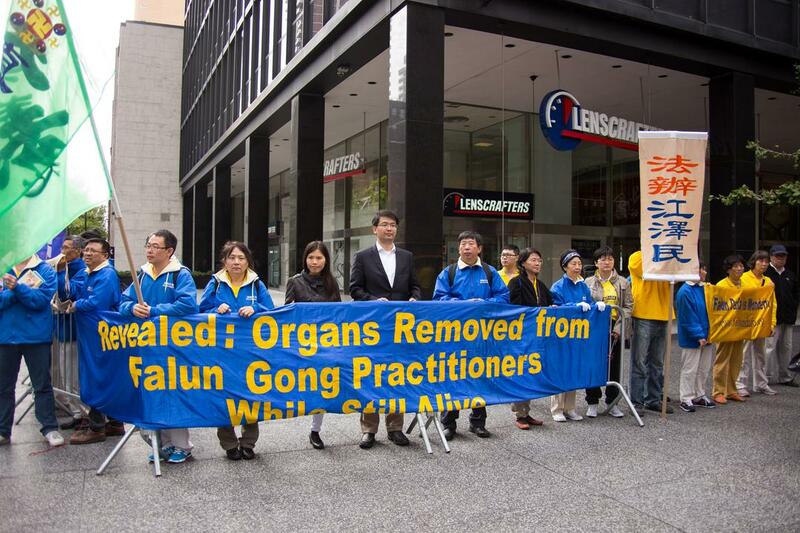 Alan Adler, Executive Director of Friends of Falun Gong, said bringing Jiang to justice is critical for China's future. 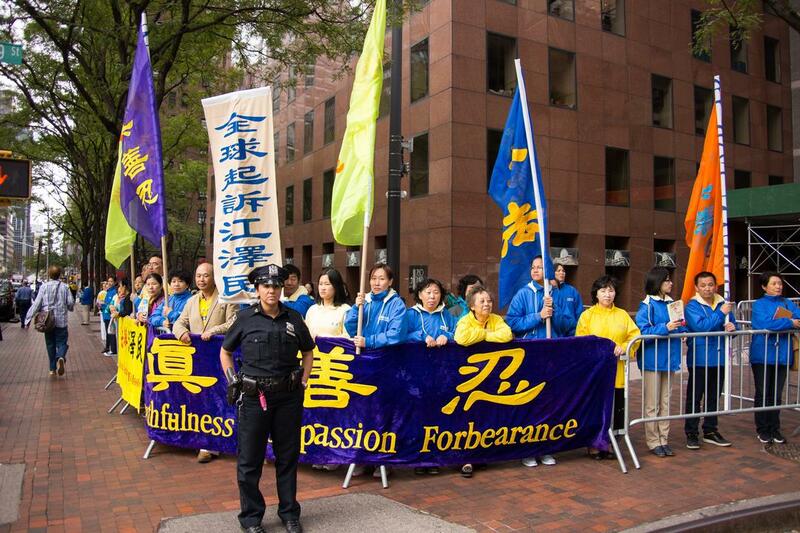 “By suppressing Falun Gong and the principles of Truthfulness-Compassion-Forbearance, the moral foundation in China is jeopardized and it will bring serious consequences. Stop the brutality against Falun Gong, as well as separating the nation from the Communist Party, is a concrete step towards a better future for the nation,” said Adler. 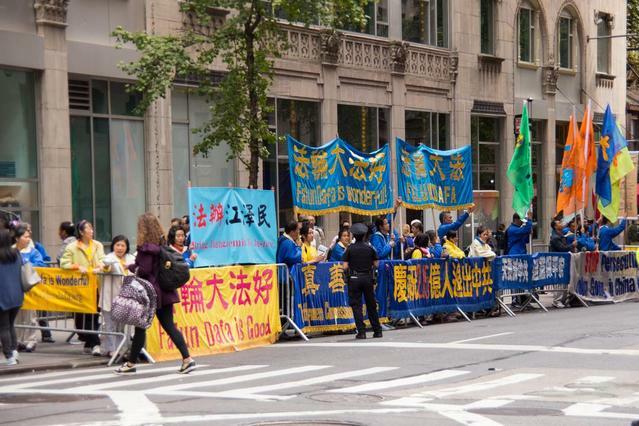 Friends of Falun Gong published a full page open letter to Xi Jinping on Monday in the New York Times. 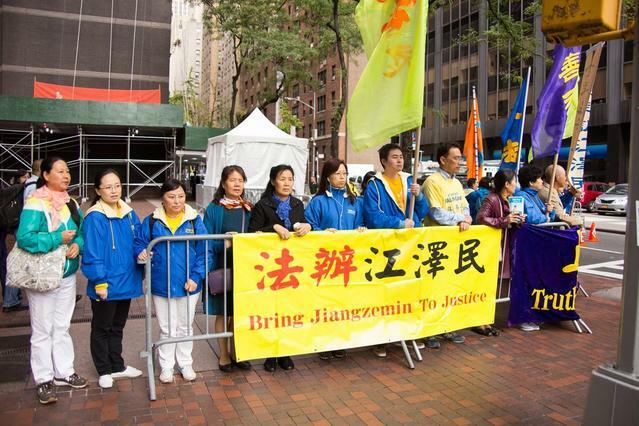 Banner with the words of “Bring Jiang Zemin to Justice”.